The AMV founder was one of the very best at his craft - and a good guy with it, friends and former colleagues tell John Tylee. Whether he was authoring an ad or a novel, David Abbott was an all-out perfectionist. His first book took him ten years to write. His second, close to completion when he died on Saturday, was finished in merely half that time. Abbott, 75, who passed away after heart surgery at London’s Royal Brompton Hospital, paid meticulous attention to detail and carried that trait with him when he stepped down from his full-time agency role in 1998. His intention was to embark on a new career as a novelist, although he continued keeping his hand in as a copywriter, helping his long-time friend Jeremy Miles with pitches while working on Miles Calcraft Briginshaw Duffy’s Dyson account. Perhaps this partly explains the long delay between quitting agency life and his debut novel, The Upright Piano Player, with its angst-ridden central character, whose personal life unravels as he faces retirement. The book was clearly the work of a man used to honing his words until they were perfect – however long it took. Abbott was somebody who wouldn’t settle for second best, whether it was creating some of the most well-crafted ads ever seen in the UK or helping to build arguably the country’s most successful agency, whose principled behaviour is very much an extension of his personality. "He was meticulous about detail," Cilla Snowball, the Abbott Mead Vickers BBDO group chairman, recalls. "I remember him personally adjusting all the boardroom chairs to the same height before a big Walkers meeting. He wanted everything to be just right." Abbott cited David Ogilvy and Bill Bernbach as his two greatest influences, but he was no Mad Man. Michael Baulk, the former AMV chief executive, says: "There was a preciseness in everything David did, and that was reflected in everything from his dress to his demeanour." His writing was witty and often so terse that, as one commentator remarked: "The sentences click together like Lego." Above all, Abbott’s copy was characterised by a humanity and warmth which reflected his belief that, in advertising, power and responsibility went hand in hand. Interviewed by Lord Bell at an IPA-sponsored event to coincide with the publication of his book in 2010, he declared: "People don’t like ads that are boring, tasteless and offensive. And we should stop doing them." No character better defined him than the genteel JR Hartley, who finds his out-of-print book on fly fishing with the help of Yellow Pages. No writing better reflected his style than the wit and brevity of the Economist posters. Or the Sainsbury’s celebrity recipes campaign that transferred the supermarket’s outstanding print work so successfully to TV. Or the elegant and lucid copy that belied the horrific image of the RSPCA’s shocking "dead dogs" print ad. "David really believed in the work he was doing," a former colleague remarks. "You could almost picture him driving to Sainsbury’s in his Volvo." 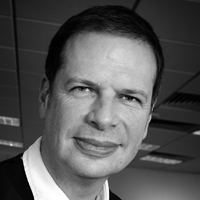 John O’Driscoll, the former AMV creative-turned-director, says: "David was one of the greatest copywriters this country has known and there are probably no more than four or five of them. Not only that, but he was always paternal towards his staff. It’s surely no accident that AMV is still the country’s top agency." 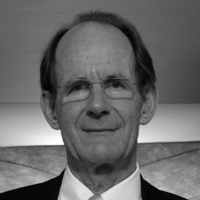 Abbott was an inspirational figure not only as an industry icon but on a personal level. 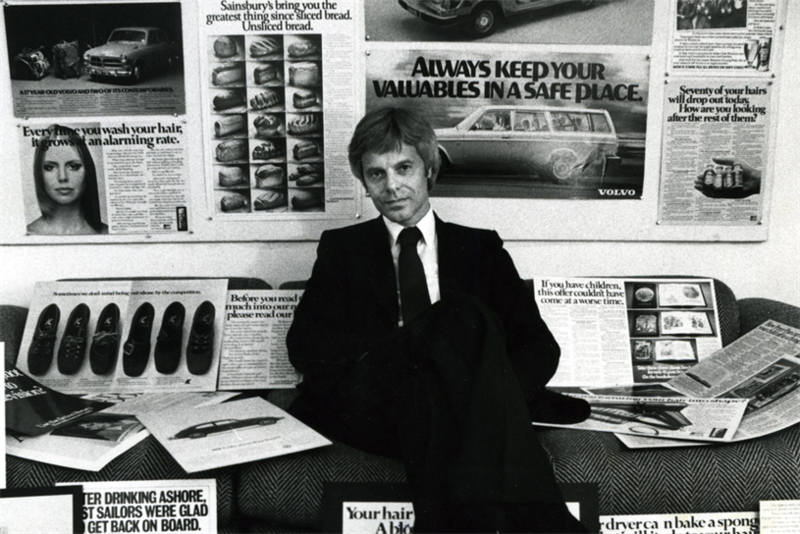 Alfredo Marcantonio, a former AMV vice-chairman, remembers his determination to become a copywriter being fuelled while working in Volkswagen’s ad department and being inspired by the executions Abbott was producing for the car-maker. "David brought Bernbach’s creative revolution to London," Marcantonio says. "He was one of the few people who helped give advertising an acceptable face. And, in bringing success to AMV, he showed that the good guys don’t necessarily come last." Paul Burke, who, like Abbott, is an award-winning creative and novelist, re­members blagging his way in to see AMV’s creative chief as a job-hunting school-leaver and having him to thank for landing a job in the agency’s despatch department. "David was keen to give everybody a chance," he says. "Everything that I became I owe to him." "I’ve no doubt the elegance of his writing will endure and actually lives on in the work of creatives like Adam & Eve/DDB’s Ben Priest," Marcantonio suggests. "Doesn’t the John Lewis work speak with David’s voice?" 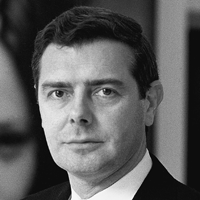 Baulk says: "David was part of the golden age of British advertising that gave us John Webster, John Hegarty and Tim Delaney. His legacy lies in the sheer craftsmanship of his work and the fact that Britain’s most successful agency has David’s culture embedded in it. Will there be anybody who bestrides the business so successfully again? I very much doubt it." We’d had the Prudential account for about six weeks. We had just spent most of the day with Peter Davis, our client, and the planners and strategists discussing the route forward. As we packed our bags and made to leave, I said to Peter: "OK, it’s OTD time." He looked at me quizzically and I explained that meant "Over To Dave". I reflected as I went down in the lift how lucky I was as an account man that I could go back to the agency and hand the problem over to a creative genius who would always give me good work, most times give me great work and, on more than a few occasions, give me mind-blowing work. That was my friend of 45 years and partner in our agency. I think there is no question that he is the best copywriter of his generation, if not of all time. In my view, he transformed food advertising with the work he did for Sainsbury’s, produced unforgettable work for Volvo and, despite being labelled a print creative, wrote some of the great commercials of the past 50 years for Yellow Pages, BT and The Economist. The outpouring of affection, admiration and grief from all over the world is testament to his enormous ability and stature as a true titan of our business. I will miss him more than I can say and I’m still finding it impossible to believe that he’s gone. It’s a very tired expression but God did definitely break the mould when he created David Abbott. David cared about people as much as he cared about ideas. His humanity and compassion ran through his work as a copywriter, a creative director and a leader. You can sense it in his acclaimed ads for Yellow Pages, BT and the government’s anti-smoking campaign (David’s own father died young from lung cancer). He could uncannily reduce the complex to the tellingly simple – witness his celebrity recipe campaign to communicate what Sainsbury’s stood for. Similarly, his red posters for The Economist. My own favourite is "It’s lonely at the top, but at least there’s something to read". Compressed, oblique, rhythmical and witty. He had a rare ability not just to listen to what someone said but to hear what they did not say. He was never unfair to even the most junior of people. And he built and inspired a creative department whose talents remain the wellspring of the agency’s reputation today. David and I became friends more than 50 years ago and he and his wife, Eve, have been a treasured part of my life ever since. His advertising legacy is indisputable but, to paraphrase Philip Larkin, for me what will survive of him is his love of life and his laughter. I will miss him incurably until I die. In a way, David Abbott made the job of creative director impossible. Impossible for all who followed him. There was literally nothing he couldn’t do. He was, of course, the greatest copywriter of his or any other generation. But he was also a brilliant strategist, a consummate account man, an unmatched presenter, a wonderful motivational speaker, an inspiring boss, a deft coach, a wicked wit, a touching friend, ridiculously handsome and, most of all, kind to the centre of his bones. Try following that. Before David, the definition of a creative director was "you show me the ad and I’ll tell you if it is any good or not". Then David raised commerce to an art form. He made creative direction a job for heroes. Most of us weren’t anywhere near up to it. I, for one, found his shoes impossibly large. But his example made us all better creatives. His humanity made us all more human. It’s impossibly ghastly that he isn’t here. But, please, if you get a minute, read the copy to the Chivas Regal "Father’s Day" ad. Then… he’ll always be here. I had the great privilege and good fortune to work for David Abbott for 20 years at Abbott Mead Vickers on accounts including Sainsbury’s, BT and The Economist. 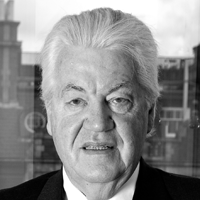 When Miles Calcraft Briginshaw Duffy was set up in 1999, he became our only non-executive director. David was a life-changer and a life-enhancer. He inspired everyone around him to give their best, to AMV and to their clients. We all know the quality of his work, but few know the quantity. For his submission into the American Advertising Federation’s Hall of Fame, I worked out that, if he produced four pieces of work a week (a conservative estimate) for 48 weeks a year over 20 years, he created nearly 4,000 ads at AMV alone. He was a gentle man. Sharp as a tack, charming, charismatic, compassionate and with a wicked sense of humour. And nearly always with a twinkle in his eye. His legacy for future generations is secure. He will leave an irreplaceable hole in the lives of all those who came into his orbit. For, truly, he was loved by many and was a prince among men.